Virtual reality was everywhere at CES, but it was almost always because someone was demonstrating the Oculus Rift. 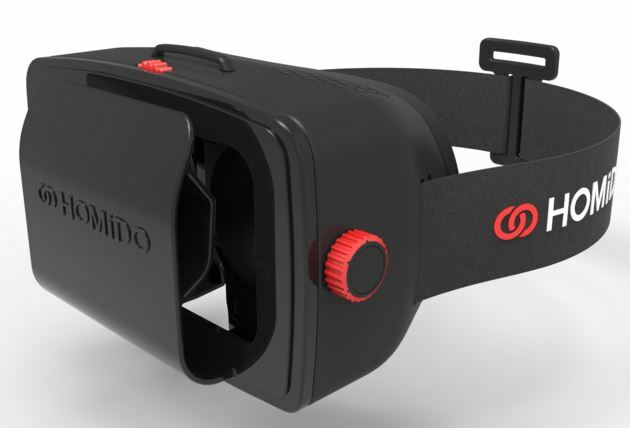 If a $600 VR headset is a little much to get your kid for his birthday, you’re in luck. There are other options on the market including Homido’s contribution to VR. For under $100, you’re definitely getting a step up from Google Cardboard. Homido’s goggles are comfortable and they work well. The lightweight black and red plastic headset holds smartphones between 4 and 5.5-inches in size. Download the Homido VR game apps (new ones come out weekly) to your phone and you’re ready to go. Like all VR games, you’ll get quite nauseous, but that’s part of the mobile VR experience — at least for now.